DJ Don is a classically trained musician who has transferred his love of entertaining to being a great high energy DJ. His specialty is the intimate environment of a wedding reception focusing on details so that the newlyweds can enjoy their joyous life event. In addition to weddings, Don DJs several clubs where mixing and scratching is needed, school dances, charity & corporate events. Your reception will be rocking yet still intimate with my traditional wedding package. 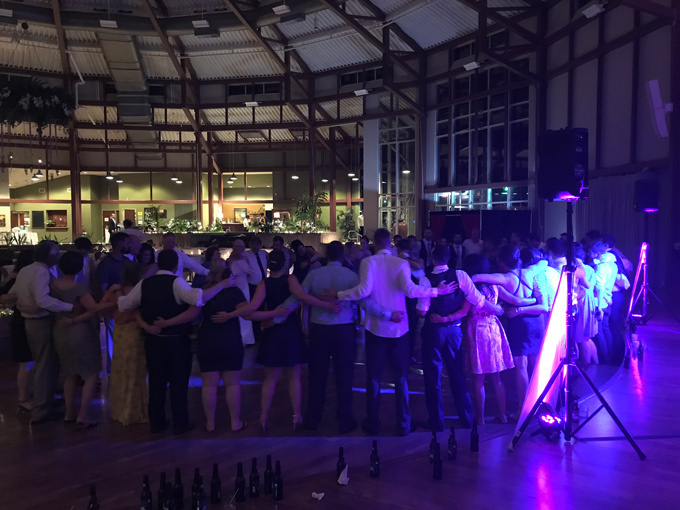 It includes: ceremony (with lapel mic) cocktail, dinner & dance music, full lighting tree, professional pa system, wireless microphone for toasts, professional DJ/MC with all the wedding traditions. 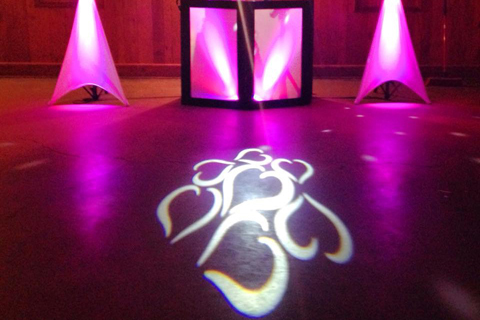 Other additional services such as personalized monograms, themed weddings, the shoe game and more are available. My focus at your reception is on you the newlyweds, allowing you to shine. I help create special memories that will live on by providing superior service and focusing on the details that many might not think of before and during your reception. My job is to help you get the most out of this wonderful life event. Let Don DJ your next special occasion and you won’t be disappointed. 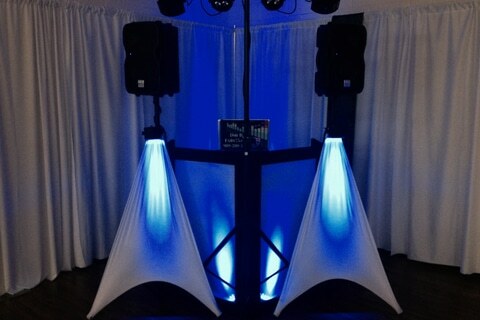 He will provide all of the equipment including the PA system, wireless mics and a full set-up of party lighting. His musical repertoire includes all genres from classical to classic rock, country to hip hop, Motown to techno and more! 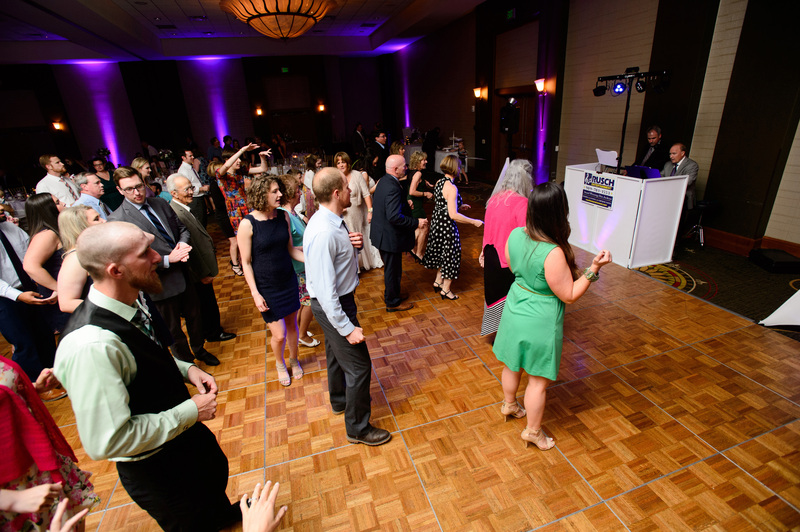 As an Emcee, he will follow your event itinerary to keep the party moving forward in a smooth and timely manner so you can enjoy the evening worry free. Since we could not get your Band CEYX, again, we were all happy with Don as our DJ for our Christmas party this year. He listened to our requests & he also played a couple of games which I encouraged him to do. Thanks again for all your help! 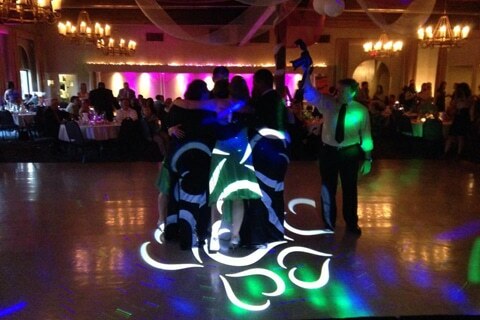 It was a great experience, made even better with the choice of Rusch entertainment as our DJ. Couldn’t have asked for a better experience and money well spent. The special day was that much more amazing with you. DJ Don was fantastic! He was a wonderful calming presence and kept the evening rolling! It was a perfect night! He was so gracious and kind and professional! I can’t recommend him highly enough to anyone who needs a DJ!!! Thank you so so much! The reception was great!! Don was awesome. He was super energetic, showed up super early to make sure everything was flawless, spoke with the officiant to make sure timeline was right, had timing down perfectly and really got the party going. He took a lot of time a few nights before to go over everything with us and it made us so comfortable to trust him with our day. The dance floor was packed and we were all super sore the next day from all the dancing! We had About 150 Guests! Thank you!! Hi Dean! We Cannot begin to tell you the amazing time we had. Start to finish!!! We Couldnt have asked for a better DJ! He was in tune with who we are as a couple! Our families loved him! He even helped bring out food to make sure we all ate close to on time! We had About 200 Guests. He was seriously amazing! 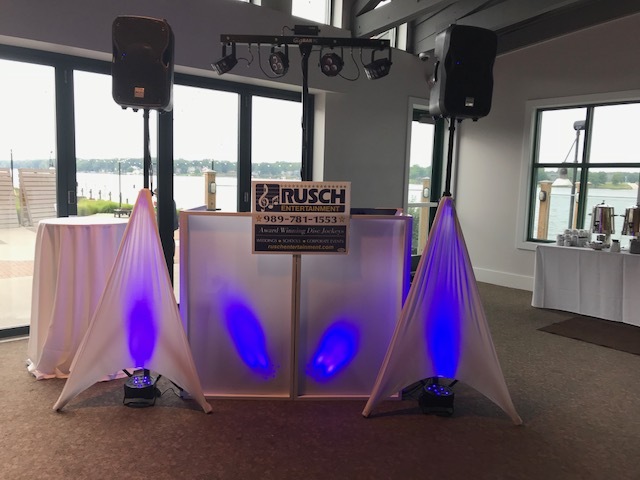 We highly recommend Rusch Entertainment & him to anyone! Thank you again to Don for a beautiful night! 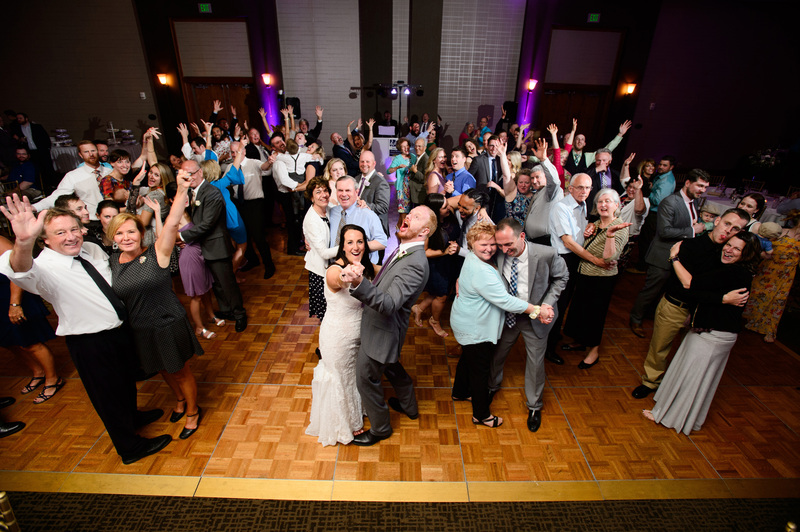 We were extremely pleased with the DJ Don Belcher he was knowledgeable, friendly and helpful did a fantastic job…I would definitely recommend him again. Hi Dean! Everything was great with DJ Don! 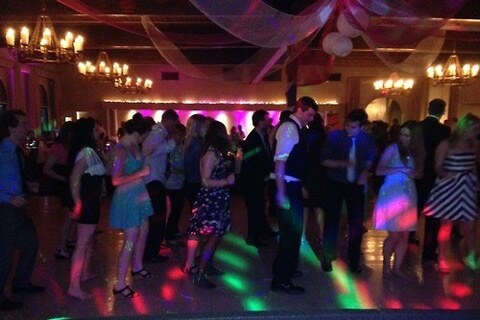 We had a great graduation celebration and everyone enjoyed the dancing afterwards at the Midland CC. Thank you! DJ Don was AMAZING and made our night so wonderful. He called a few days ahead to confirm details with us, which helped ease my mind and give me confidence before the wedding. From the moment we arrived at our reception, Don was there and was such a pleasure to talk to. He made the entire night special, took requests from guests, and if he got a request that conflicted with the form we filled out, he would check with myself or my husband before playing. He was incredibly helpful in working with my husband on a flash mob dance during the mother/son dance, which was great. 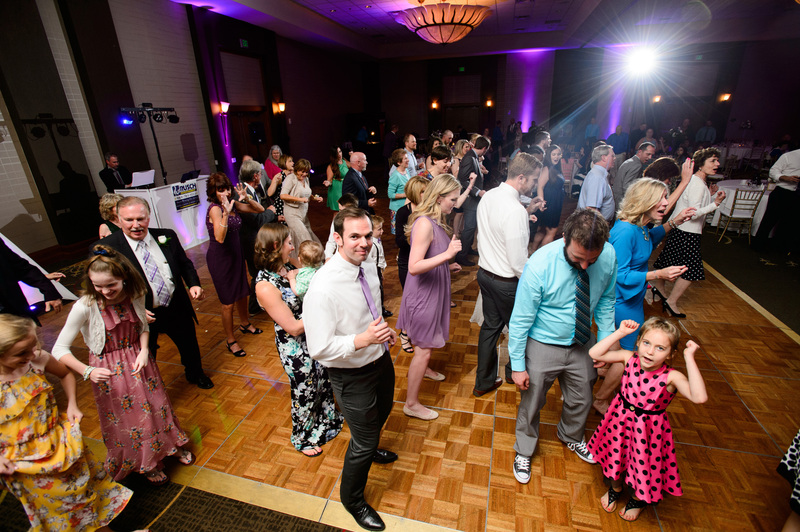 The dance floor was packed all night, and my guests were raving about what an awesome music selection there was. 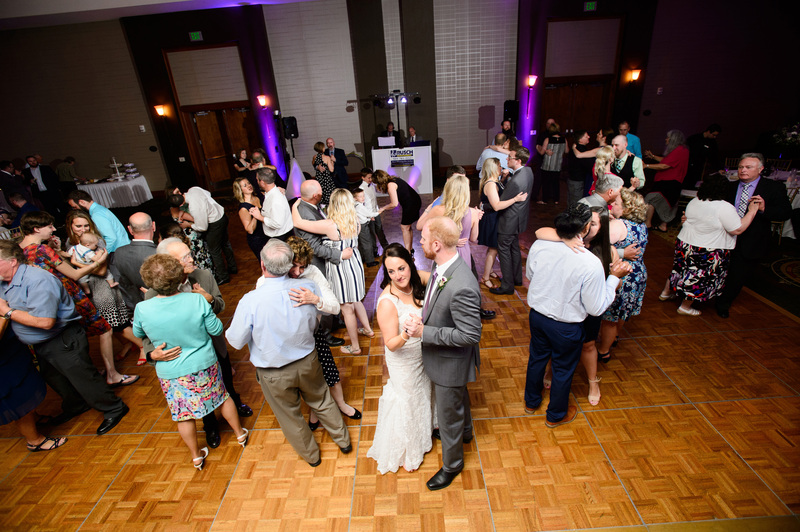 Don closed the night with his own marriage advice, and had my husband and I dance again to our first dance song with our family and friends out on the dance floor. 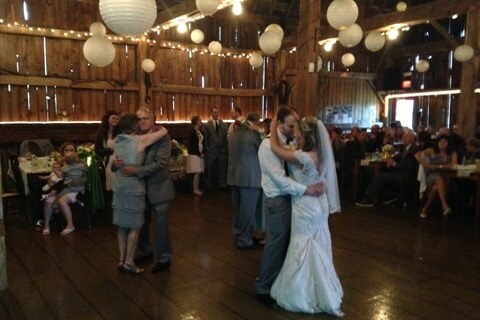 Overall, Don was AMAZING and I would highly, highly recommend Rusch for your wedding. Everything went great. Don did an excellent job. We got lots of compliments on the music from 170 guests! Sunday wedding Noon- 5pm at the Forest Edge Banquet Center!! We had a Star Wars themed wedding. Which means we had a lot of detail that needed attention. Luckily for us, we were in good hands. DJ Don took care of us and met all our needs with enthusiasm. It helped that he was a fan of what we were doing, sure, but he was so friendly and helpful as well. Honestly anyone that emailed me said he had been fantastic. As the groom I was in charge of getting the music taken care of. 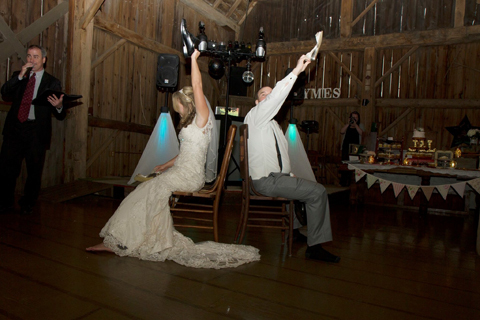 Lets be honest, the music can make or break a wedding/reception. Could be the best food, or ceremony ever… but people could still say, “the music was awful.” Well that didn’t happen. We got lots of compliments on the music. DJ Don was the man, and I would recommend him specifically. Lastly, thanks to Rusch overall for providing a great experience. They come highly recommended, and I know why. They are the best in this line of business. Answered all questions very quickly and we booked him for our event, thanks Don! 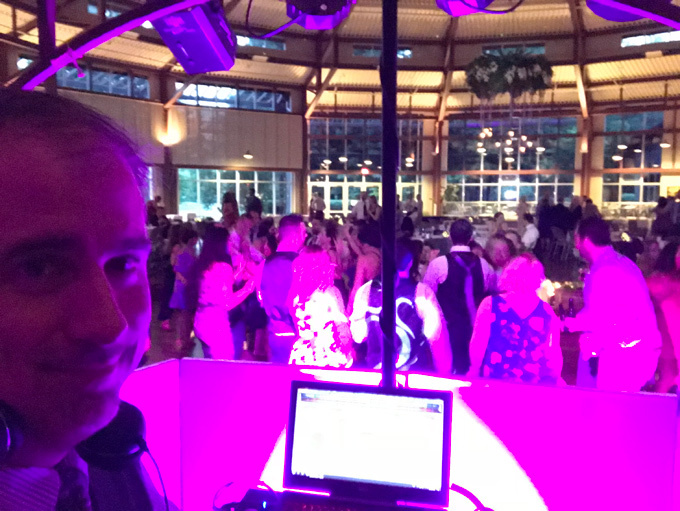 Don did a wonderful job as a DJ at our wedding. His intuitive approach to the music and the crowd was perfect – everyone had a chance to chat, dance and at the end everyone had a great time 🙂 We will certainly recommend him to all our friends. Don was a fantastic DJ. We had so many compliments and he kept the dance floor going the whole night. He really paid attention to the details of our “love story” and helped to tell it through music. He was so go with the flow and happily added on music for our ceremony and cocktail hour without hesitation. On top of all that, probably one of the more reasonably priced DJs that we found when looking. Great DJ I have recommended him to a lot of people since Fridays party. Job Well Done! Mr. Belcher was the DJ/Emcee for my wedding and he did a wonderful job! I definitely recommend him! The night went according to plan and everyone had a great time. Don went above and beyond. Communication from the beginning was great, you really feel like you have known him forever. He will help guide you if needed with anything you ask. 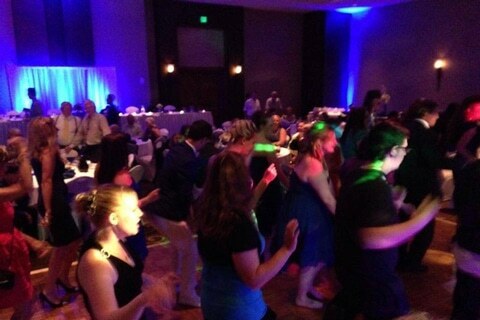 Music selection was great, we danced all night long!! I have and will continue to recommend Don for any event! We recently had Don DJ a party and things were great. 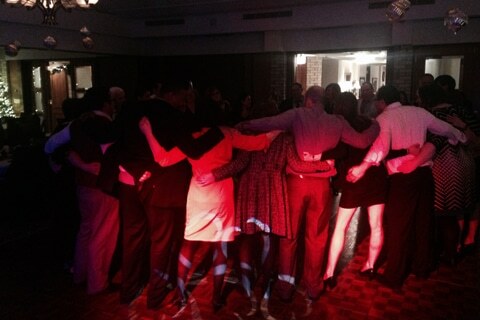 We had all ages from little kids to 60yrs- they we all dancing when the disco lights came on. The music was appropriate and he asked if ppl liked certain kinds of music etc. He arrived according to times, was very courteous, I almost forgot he was there is was so quiet. He did a good job! Thank you. 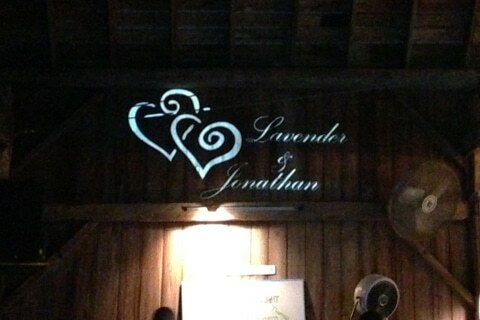 Don did an awesome job for our wedding celebration! He played every song that was requested and made sure everybody had a great time. 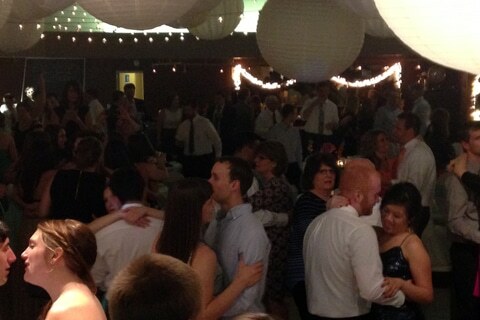 He even got a bunch of people who do not like to dance to get out on the dance floor and bust a move! I have had so many people tell me what a fun time they had, and how great Don was. I would definitely recommend him! Absolutley perfect! He gave my daughter’s sweet 16 party the best experience I couldn’t have imagined anyone else doing this for us! He set the mood & tone of a 16 year old birthday party but would also play songs to include us older folks! He kept everyone on the dance floor all night long!! I have never experienced having a DJ that was so engaging, super nice to work with, and just to say my daughter graduates in 2016 & she already asked if Don could be the DJ for it! I will recommend him to everyone I know! Thanks Don for an unforgettable evening of funtastic music & dancing! I hired Don to be our DJ for my son’s graduation party. Don went above and beyond what our contract required. He was very outgoing and had a huge supply of music available to us. He played what everyone wanted to hear. Everyone raved about him after the party. I plan on using him again and HIGHLY recommend him to everyone! Just speaking with Don on the phone I know it’s going to be phenomenal and if it is not I will change my review but I know I won’t regret my decision. Thanks for the information and for being exactlty what I was looking for and need. Don did an awesome job for our wedding celebration! He played every song that was requested and made sure everybody had a great time. He even got a bunch of people who do not like to dance to get out on the dance floor and bust a move! I have had so many people tell me what a fun time they had and how great Don was. I would definitely recommend him! Absolutely perfect! He gave my daughter’s sweet 16 party the best experience. I couldn’t have imagined anyone else doing this for us! He set the mood & tone of a 16 year old birthday party but would also play songs to include the older folks! He kept everyone on the dance floor all night long!! I have never experienced having a DJ that was so engaging, super nice to work with, and just to say my daughter graduates in 2016 & she already asked if Don could be the DJ for it! I will recommend him to everyone I know! Thanks Don for an unforgettable evening of funtastic music & dancing!